Western Magic for their NAIDOC Week celebrations. NAIDOC Week celebrates the history, culture and achievements of Aboriginal and Torres Strait Islander peoples. 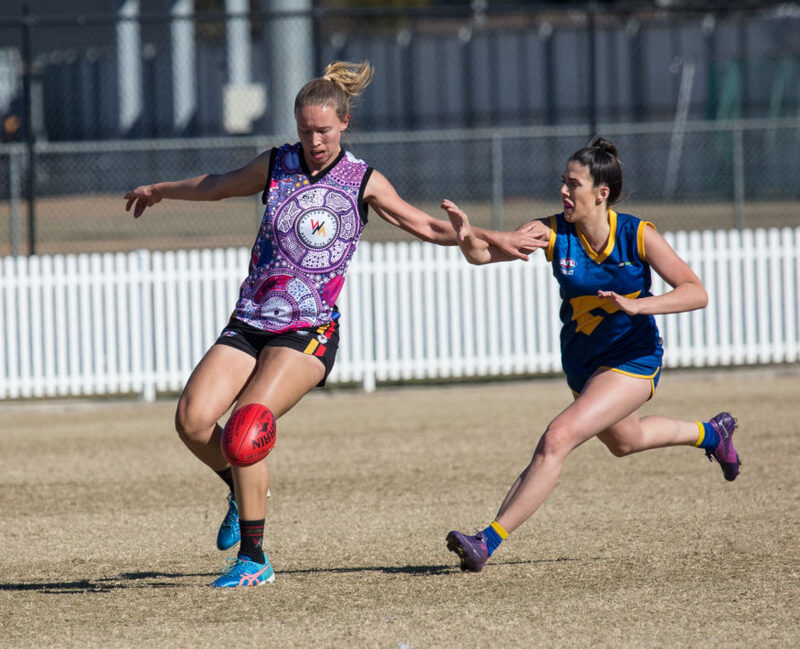 On the weekend the Magic wore a guernsey designed by clubman, Luke Penrith. The guernsey was designed on the theme of ‘Because of Her, we can’. For this show of support we award the Western Magic the Week 14 Boy Oh Boy Wowee of the Week. Image courtesy of Paul Carter. Sydney University for yet ANOTHER Tristan Davies hanger. 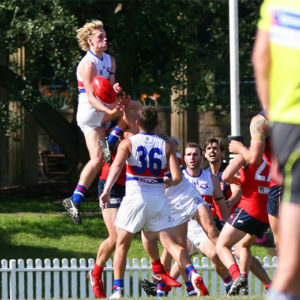 Davies is having a brilliant year and is making a habit of going for some high flying marks. On the weekend he took off again and grabbed another spectacular speccy. 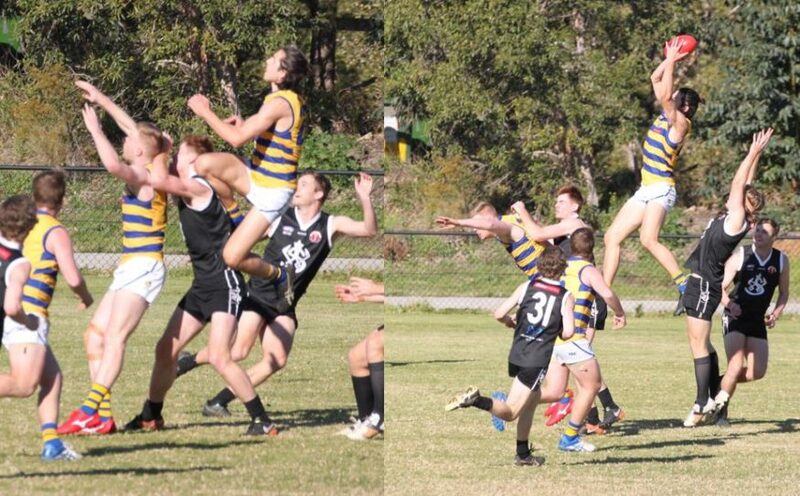 For this effort, Tristan soars into this weeks Boy Oh Boy Wowee nominations. Image courtesy of Mark Stratford. 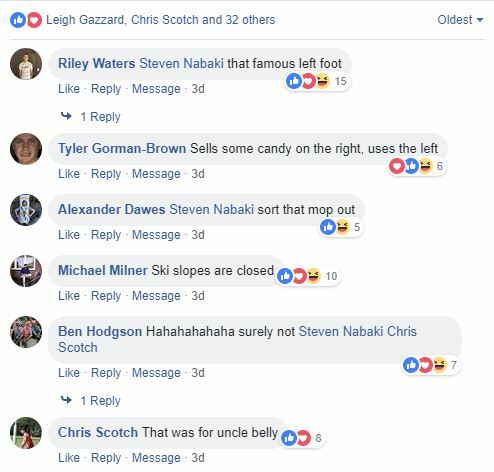 The St George Dragons for some classic online banter. 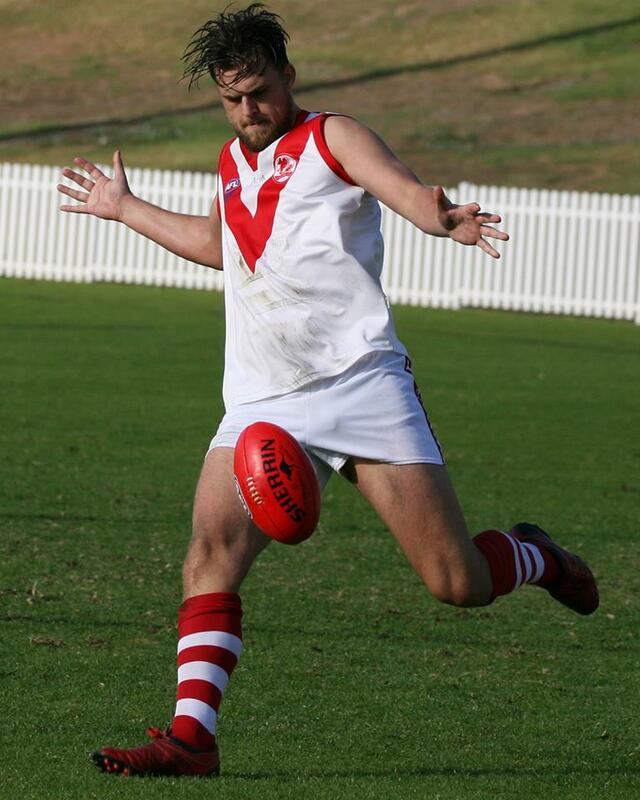 On Saturday a photo (taken by Leigh Gazzard) of St George Premier Division backman, Steven Nabaki was uploaded to the AFL Sydney Facebook page and in came his St George teammates to let him know all about it – positively of course! 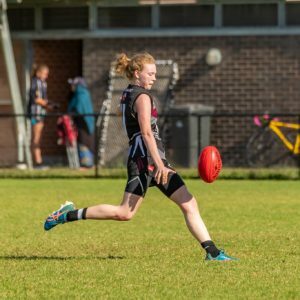 Nabs’ left boot seems to be quite popular among the Dragons faithful – glad Gaz captured it out in the wild. Well done Nabs, for this you have received a Boy Oh Boy Wowee of the Week nomination. 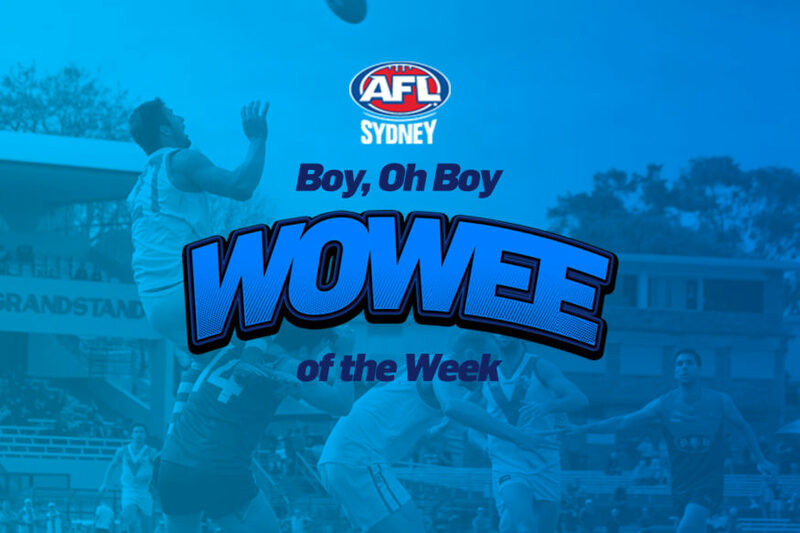 Boy, Oh Boy Wowee of the Week is looking to honour special moments from all AFL Sydney divisions including – but not limited to – clutch marks, terrible haircuts, funny moments, after the siren victories, best fans, anything notable that has happened at your club during the week. 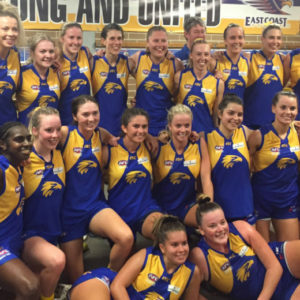 The weekly winner will receive a brand new Sherrin for their club and the overall winner for the year, will receive a $300 Sherrin voucher for their club’s use. It is important that your nominations come with either a photo or video for the judges to be able to determine a winner. 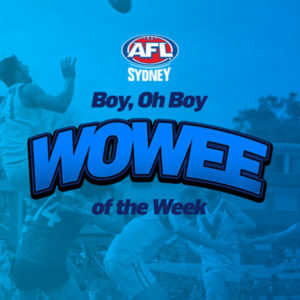 If you would like to nominate a Boy, Oh Boy Wowee of the Week from your club, please send nominations to chris.corby@afl.com.au by 5pm on each Monday of the season.